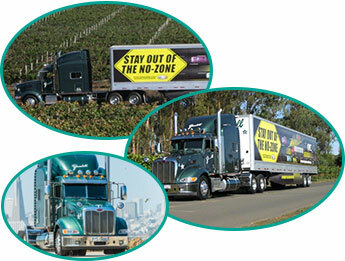 Yandell Truckaway, Inc. specializes in all facets of transportation within the State of California. Our locations in American Canyon, Benicia, Salinas, and Tracy are electronically networked to the main office in Benicia with digital two-way communications. Yandell Truckaway operates 125 power units and 350 pieces of trailing equipment in California. We are a California Air Resources Board (CARB)-compliant carrier, and an EPA Smartway Transport Partner. Yandell Truckaway Inc. is connected to Santa Clara Warehouses, Inc. via software in order to have accessibility and visibility between the two entities, especially in wine shipping. All commodities are locked, sealed, and transported using equipment that prepared for food-grade materials if necessary. Our trailing equipment has cellular tracking devices installed, and either ride on spring or air, depending on the commodity.